We all know the feeling: you’re looking to buy a smartphone case, and you’re wondering whether you should put a single picture on it, or a nice looking pattern. Well, let CaseCompany here make a case (pardon the pun) for patterns and motifs! 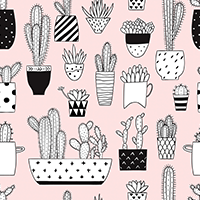 Patterns can be stylish, pretty and they exist in all shapes and sizes. Go ahead and check out our collection of fantastic designs for your smartphone case. You can select your favourite pattern and have us print it straight onto your brand new case! We’ve been working together with several guest designers in order to present you with a wide variety of options. Together with our in-house designers, they have come up with a plethora of gorgeous motifs. From funny to serious and from minimalist to elaborate design, CaseCompany has it all! You can even get a case full of Kanye heads! That’ll no doubt guarantee you quite a few laughs. Or you could turn your smartphone into a fruit basket! Coconuts, pineapples, bananas, watermelons… Pick whatever you want and create your own fruit pattern! Or if you’re looking for something more classic, you can design your pattern using our timeless geometric shapes. The choice is yours!